I have just returned from the National Arts Festival in Grahamstown. I took my new show there. “Hellpants and the FBPK” It was well received and I won the Standard Bank Ovation Award for Comedy. A nice enough start. 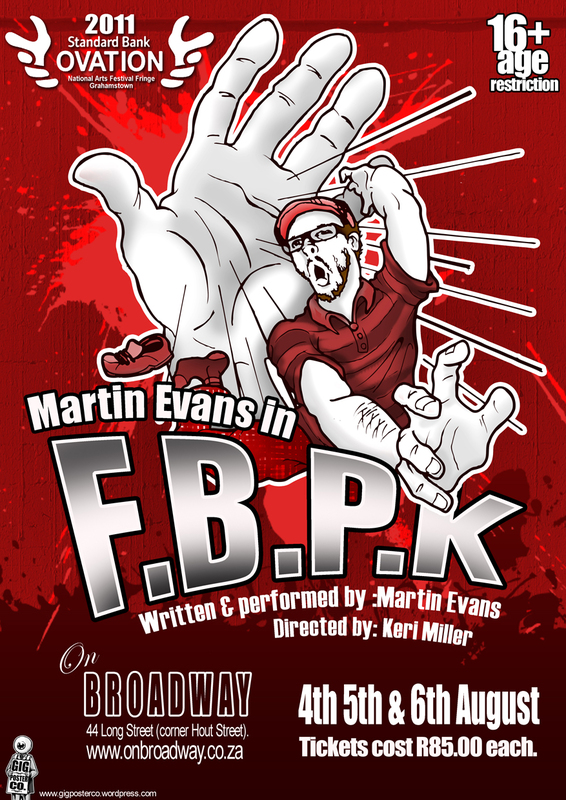 This is my first showing of #FBPK outside of the festival and I urge you all to come and support it. If it goes well enough, I hope to take it onto longer runs and venues’ across South Africa. A big thanks to Dusty Rich for the design and detailed work. Much thanks. Tickets can be booked for the show at the Onbroadway website, or via computicket. From tomorrow that is. For now, im going off to enjoy what is left of my birthday. Nice.